Chemical protection is a serious concern of most companies today; therefore, we have developed a network between product manufacturers and our installation team to be absolutely sure the systems we specify will meet and exceed your needs for chemical protection. In chemical resistant situations, it is also important to produce proper drainage and slope for maintenance & inspection purposes. 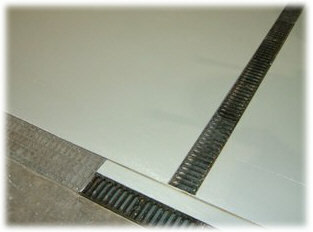 ● Reconstruction damages or deteriorated floors and wall. 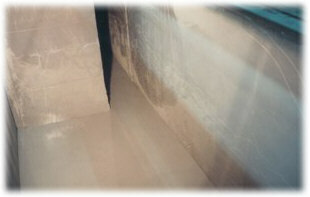 ● Produce a protective membrane between chemicals and your concrete. ● Correct or create slope and produce custom contours. 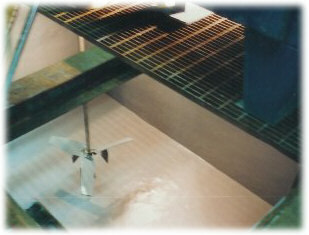 ● Form and pour castable Novolac epoxy wall and floors that are 1" thick. 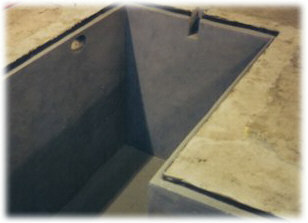 Used in reconstruction of concrete sumps, basins, and trenches. ● Novolac mortar system with 60 mil Novolac topcoast protects this equipment base from chemical attack. 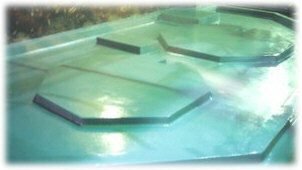 It also reduces maintenance with Monolithic coves, proper slope and easy to clean surfaces. ● Provides high durability impact resistance. ● Bonds permanently to concrete, quarry tile, brick pavers and plywood. ● Creates sanitary, easy to maintain surfaces. ● Urethane mortar topping installed at 1/4" provides high durability, a wide range of chemical resistance, rapid curing and excellent thermal shock resistance capability (even live steam). 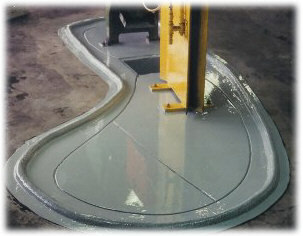 ● Urethane and epoxy systems available in coatings, trowel applied and self leveling versions. ● Novolac coating systems provide protection for light to moderate chemical exposure. ● Stands up to grease, alkalis, food, and mineral acids. ● Organic and inorganic acid and solvent resistant. ● Systems specially designed to fill your particular needs. 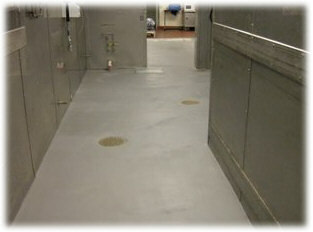 ● Novolac epoxy handles intermittent spills up to 250˚F (122˚C) without heat distortion. ● Available in a wide variety of colors (see standard color chart PDF). ● Trowel on systems for vertical surfaces. ● Cast in place trench drains for custom installations where pre-cast drains are too large or do not provide adequate chemical protection. All of the information seen above are examples of some methods of chemical protection. But, there is no one system that "fits all". 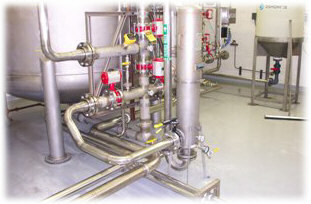 Please contact us for a consultation before making your decision on a chemical protection system. We can answer your questions and help getting you the right answers.